KIEV, Ukraine -- President Petro O. Poroshenko of Ukraine on Saturday appointed the former president of Georgia, Mikheil Saakashvili, as governor of the Odessa region, turning to a longtime nemesis of President Vladimir V. Putin of Russia for help governing an area coveted by pro-Russian separatists. 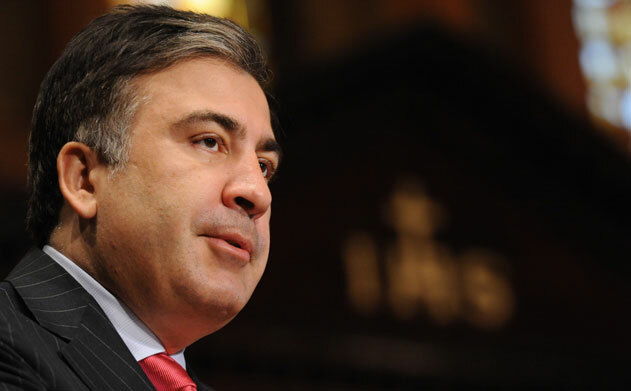 He has also granted Mr. Saakashvili Ukrainian citizenship. Mr. Saakashvili replaces Ihor Palytsia, who was appointed governor in May 2014 after more than 40 people, most of them pro-Russian separatists, died in a fire in Odessa during clashes with pro-Western street demonstrators. Mr. Palytsia is an ally of Igor V. Kolomoisky, a billionaire and former governor of Dnipropetrovsk. Volodymyr Zelenyuk, 28, works at Mr. Kolomoisky was dismissed from his own governor’s position after clashing with Mr. Poroshenko this year as the president began a “deoligarchization” campaign aimed at reducing the power and influence of Ukraine’s wealthiest businessmen. The appointment of Mr. Saakashvili was immediately interpreted in Ukraine as a message to Mr. Kolomoisky as well as a jab at Putin. Mr. Saakashvili and Putin have an animosity that dates to before the brief war fought between Georgia and Russia in 2008. Although Mr. Poroshenko portrayed the appointment as an effort to speed up the government overhaul in Odessa, it also highlighted the continuing challenges the Ukrainian government faces, even as it confronts a constant threat of renewed warfare on the Russian border. It is increasingly clear that there is insufficient domestic capacity for implementing wide-scale changes, and the Ukrainian public’s general willingness to accept the appointment of foreigners to high-level positions underscores the deep lack of trust in any government after nearly a quarter-century of mismanagement and corruption. Like the war-torn regions of Donetsk and Luhansk in eastern Ukraine, Odessa is home to a large native Russian-speaking population that has strong historical ties to Russia. The Ukrainian government has said that it has thwarted numerous planned attacks by pro-Russian separatists in the region, and Odessa so far has avoided the open warfare that has decimated the east and displaced a million or more residents. Mr. Saakashvili has made frequent visits to Ukraine since pro-European demonstrations began there in November 2013. As a supporter of the demonstrations, he was briefly barred from the country by President Viktor F. Yanukovych, who was ultimately ousted by the protests in February 2014. Mr. Saakashvili has served as an adviser to Mr. Poroshenko since his election just over a year ago. Most recently, Mr. Saakashvili had served as the head of Mr. Poroshenko’s International Advisory Council of Reforms, a post he was named to in February. A number of former senior officials in Mr. Saakshvili’s government now occupy senior posts in Ukraine, and have been granted Ukrainian citizenship, including the health minister, a deputy prosecutor general and a deputy interior minister. As president of Georgia from January 2004 to November 2013, Mr. Saakashvili led an aggressive effort to eliminate corruption and bureaucracy from Georgia’s post-Soviet government. He won wide acclaim in the West for achieving dramatic successes, but he was also heavily criticized at home for heavy-handedness, including allegations of rights abuses. Mr. Saakashvili left office in November 2013 after serving the maximum two terms as president. He has been living abroad, mostly in New York and Ukraine, since then, and has been unable to return to Georgia, where the current government wants him arrested on criminal charges that he abused his authority as president. A number of senior officials from Mr. Saakashvili’s government, including a former prime minister, have been prosecuted by the new government in what is widely perceived as a campaign of political retribution. Mr. Saakashvili has denied any wrongdoing. In Russia, his appointment as governor of Odessa was denounced as an example of political patronage by Mr. Poroshenko, and Mr. Saakashvili was described in the Russian news media as a fugitive on the run from criminal charges in Georgia. Mr. Saakashvili and Mr. Poroshenko are longtime acquaintances, having attended graduate school together in the early 1990s at Taras Shevchenko National University in Kiev, the Ukrainian capital.